Report Says Child Casualties Rising In Afghanistan Fighting : The Two-Way The Defense Ministry says an assailant in an Afghan Army uniform opened fire, killing a U.S. soldier and an American civilian. Also, a new report finds child casualties are rising in the conflict. A girl named Farida, age 7, and her mother at a hospital after a militant attack on a Shiite shrine in Kabul, Afghanistan, on Oct. 12. The Pentagon says two Americans were shot and killed in Afghanistan on Wednesday, and at least two others were wounded. One of those who died was a service member, the other was a civilian. NPR's Tom Bowman reported the assailant opened fire at the entrance to an ammunition depot near Camp Morehead, a training center for Afghan commandos. The camp is about an hour's drive south of Kabul. "The Afghan Defense Ministry said the gunman was wearing an Afghan Army uniform, but the Pentagon could not say whether it was a so-called insider attack. "Earlier this year, two Romanian soldiers were killed in Kandahar by a gunman wearing an Afghan Army uniform. And in the summer of 2015, two Americans were killed in a similar attack in neighboring Helmand Province. "Still, the number of these insider attacks has dropped off from 2012, when 42 U.S. and NATO troops were killed." The U.S. combat mission in Afghanistan officially ended in late 2014. There are currently about 8,400 U.S. troops in Afghanistan. As we have reported, over the past year the Taliban has been making gains in both the north and the south, and U.S. soldiers on missions to train and advise the Afghan security forces have found themselves increasingly drawn into battles. The uptick in fighting has been particularly deadly for Afghanistan's children, according to the United Nations. A new report, released Wednesday, paints a grim picture of the violence facing young people in Afghanistan, where 639 children died and 1,822 were injured since January. That's an increase of 15 percent compared to the same period last year. The U.N. attributes some of the deaths to combat in cities. 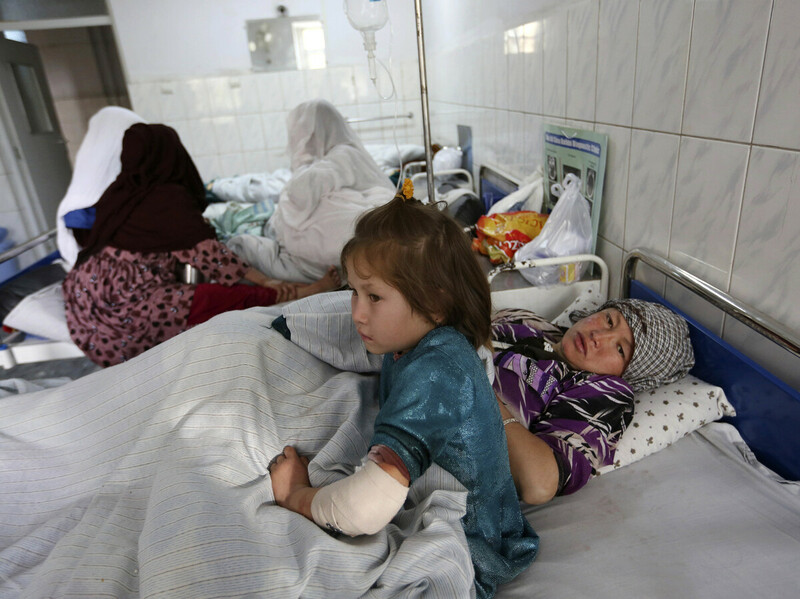 "Increased fighting in densely populated areas makes it imperative for parties to take immediate steps to ensure all feasible precautions are being taken to spare civilians from harm," said Tadamichi Yamamoto, the U.N.'s special representative for Afghanistan. The report blames more than half of civilian casualties on "anti-government elements" including the Taliban. But since January the U.N. has also documented 1,897 civilian casualties caused by "pro-government" forces, which they say is a 42 percent increase compared to last year. And active fighting is not the only culprit. The report notes that unexploded ordnance, such as shells or landmines, killed at least 160 people and injured 350, a staggering 67 percent increase over the same period last year. Most of those casualties were children.